Have you been in an accident involving a commercial truck in Fort Lauderdale that resulted in injuries? Accidents with commercial vehicles are much more complicated than simple insurance claims following a crash with another passenger vehicle, and the process of collecting damages for personal injuries can be extremely complex. Commercial truck drivers are held to a different standard, answer to different licensing and certification boards, and have much more involved insurance policies than your standard private automotive insurance, and you can expect to deal with aggressive attorneys while trying to recover the damages that you are rightfully owed. 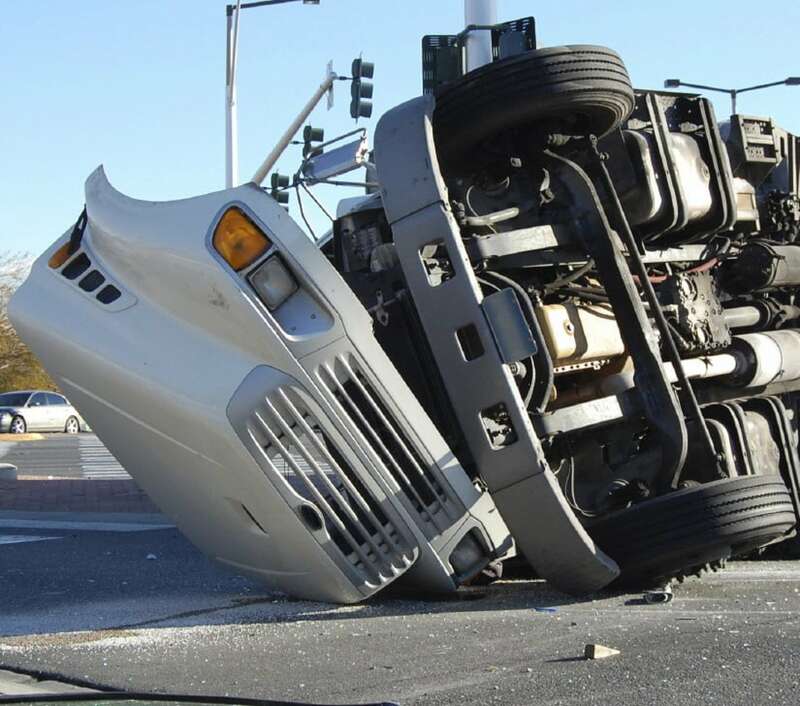 In addition to the procedural complications of a commercial truck accident, there is also a significantly greater chance of serious injury, property damage, or both, since commercial vehicles are so much larger than personal passenger vehicles. When you are being represented by a personal injury lawyer in Fort Lauderdale following a collision with a truck, you can be confident that any possible complications will not add stress to your own life – you have a professional working on your behalf. How Is a Truck Accident Different Than A Passenger Vehicle Accident? If you have crashed with a semi, then you may already know how different it can be. Take a look below for some of the biggest things that differ between a collision with a commercial vehicle versus a collision with a passenger vehicle. Commercial trucks are significantly larger than even the biggest passenger vehicles, and carry much more weight. If you are in a crash with a fully-loaded semi truck, the damages to both you and your property can be much more extensive than if you were to collide with a car. Your attorney will help you quantify the extent of damage to all of your personal property. In addition, truck drivers are issued CDL licenses, which have significantly more requirements and standards appended to them. The responsibilities of a CDL license reflect the increased liability of truck drivers, and factors directly into the higher values of commercial insurance policies. These insurance policies commonly exceed a million dollars, which means that the insurance companies give much more attention to these claims. This increased attention and higher value means that the companies will use advanced tactics and complicated processes to protect their company from issuing full payments, and will work to confuse claimants who are unfamiliar with their methods. Knowing this, moving forward with a truck accident lawyer will be a significant asset for your case. Given the additional legal requirements and responsibilities that are placed on commercial drivers and shipping companies, there are naturally additional regulatory bodies that specialize in the commercial trucking industry. These specialized requirements and regulations can create confusion or complication during your claim process, but each rule is in place in order to hold the drivers and companies to higher standards of safety. As such, each complicated regulation may add additional opportunities for compensation in your claim. Our experience with truck accidents in Fort Lauderdale will be a great help for you as we determine each detail to consider while finalizing the amount that we believe you are entitled to. An 18-wheeled truck has 14 more opportunities for a tire blowout than a 4-wheeled passenger vehicle, and they travel many more miles than your average passenger vehicle. 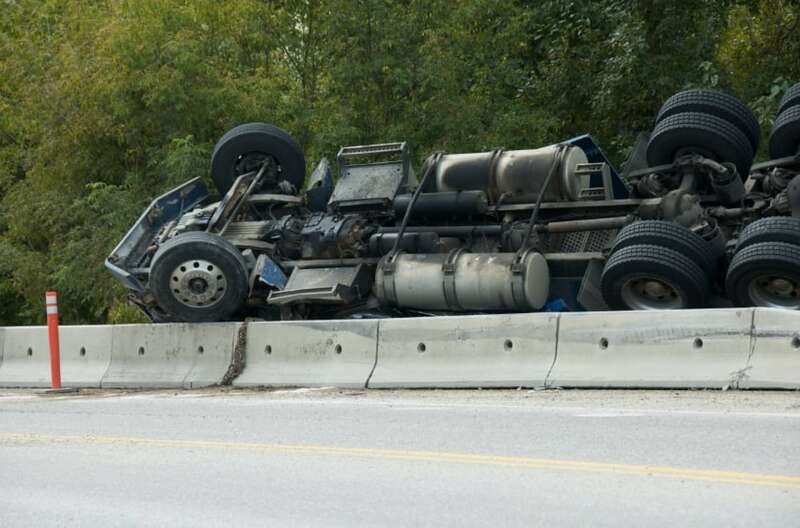 Unfortunately, blowouts are fairly common with commercial trucks, and can lead to accidents. When a blowout happens, the rubber is sent in many directions, and sometimes into the path of moving vehicles. This could cause a vehicle to swerve, a motorcycle to crash, or damage directly to the vehicle that leads to an accident. Commercial truck drivers are held to strict limits for the amount of time they are allowed to drive, in order to protect themselves and other commuters from the dangers of an overworked and exhausted driver. The Federal Motor Carrier Safety Administration sets these limits, and an accident that results from a violation in these guidelines can create additional issues for an insurance provider, and additional avenues for damages for you and your lawyer. Commercial truck drivers are often held to strict delivery schedules, and can lead drivers to operate above the speed limit. In some locales, commercial trucks have their own specific speed limits, and regardless, are held to the same expectations as passenger vehicles in order to keep surrounding drivers safe. If you think that speed was a factor in your accident, discuss this with your attorney. There are many other factors that could lead to a collision, as well as factors to consider when you and your attorney are developing a case. Your attorney will be able to discuss these in greater detail with you. There are many issues that go into determining the amount you will be able to take home in either a settlement or a judgment. This includes things such as medical bills, loss of income, pain and suffering, property damage, and many other future factors that you will discuss with your attorney. Your lawyer will work with you to create a complete report on the various factors that lend to the total amount you are rightfully owed. Contact us today to schedule a free consultation, and begin the process of recovering the money you are rightfully owed for your truck accident in Fort Lauderdale. We look forward to working with you, and getting you what you deserve.